Want to be the host with the most without a ton of fuss? 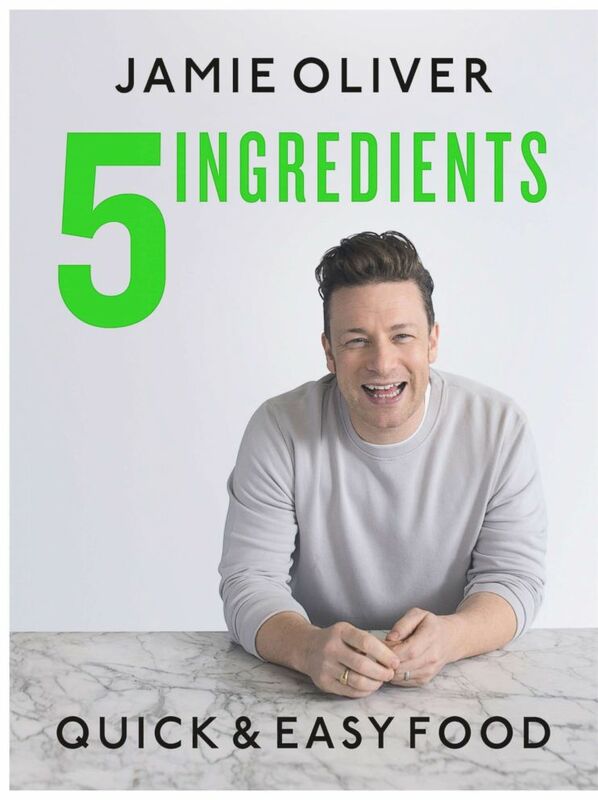 Chef Jamie Oliver's new cookbook, "5 Ingredients: Quick & Easy Food," has got you covered featuring simple but impressive recipes that use only five ingredients. Oliver shared his recipes for a smoky chorizo salmon dinner and a walnut whip affogato for dessert – both with five ingredients. Check out the full recipes below from his book and make them in your own kitchen! Jamie Oliver's new cookbook "5 Ingredients:Quick & Easy Food." 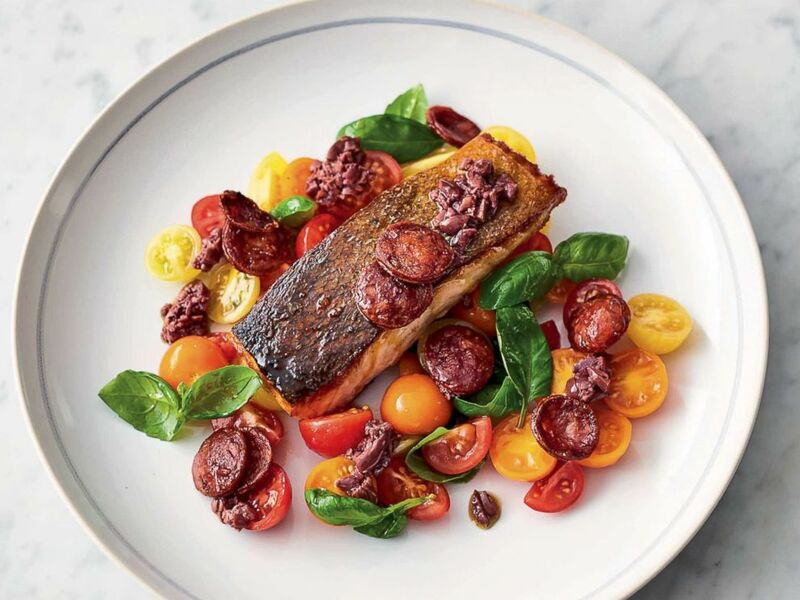 Jamie Oliver shares a recipe from his new cookbook for smoky chorizo salmon. Put the salmon flesh-side down in a large cold non-stick frying pan and place on a medium-high heat. As the pan comes up to temperature and the salmon begins to sizzle (about 3 minutes), flip it over and cook on the skin side for 5 minutes, or until very crisp and just cooked (depending on its thickness). Meanwhile, halve the cherry tomatoes, tear up most of the basil leaves, then toss it all with 1 tablespoon of red wine vinegar and a pinch of sea salt and black pepper. Squash the olives and discard the pits, then finely chop the flesh. Mix with 1 teaspoon of extra virgin olive oil and a splash of water. Finely slice the chorizo, add to the pan for the last 2 minutes, then toss in the dressed tomatoes for 30 seconds. Divide between your plates, with the salmon on top. Spoon over the dressed olives and pick over the remaining basil. 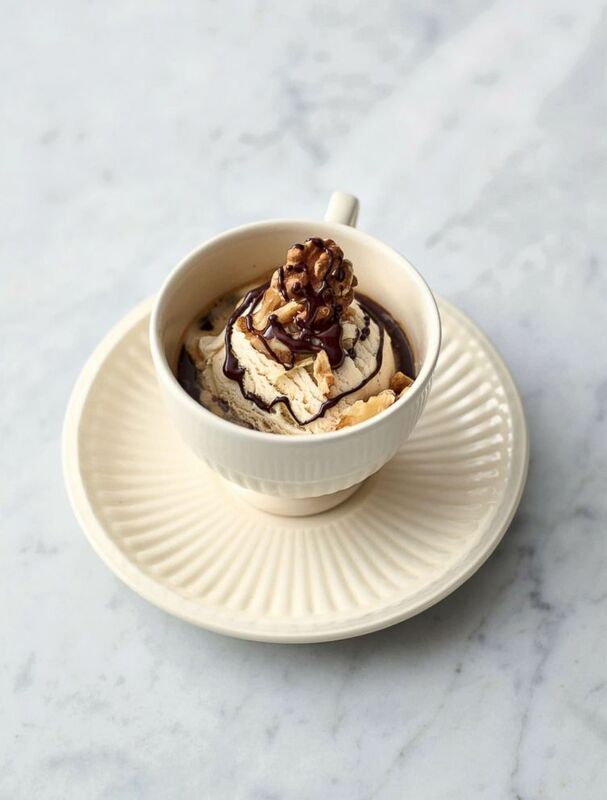 Jamie Oliver shares a recipe from his new cookbook for walnut whip affogato. Melt the chocolate and butter with a pinch of sea salt in a heatproof bowl over a pan of gently simmering water, then remove. Reserving 4 perfect walnut halves for decoration, slice or crumble up the rest. Roll your ice cream into nice round scoops and divide between four teacups. Scatter over the sliced or crumbled walnuts, pour a shot of hot espresso into each cup, stick a walnut proudly on top, then drizzle over the melted chocolate.